My wife and I are planning to relocate to Vermont, and we would like to make contact with other Preppers in Vermont, and possibly in northern NH or northern NY as well. We are both Bible-believing Christians, with a strong desire to move to the country and become self-reliant, and develop a prepper lifestyle. We would particularly like to find fellow Bible-believing Christians who desire a similar lifestyle, even if they are in the early stages of planning a rural lifestyle change. We do not belong to a particular church, but are solely reliant on the truth of God’s Word, the Holy Scriptures. We love Jesus Christ, and we want to be a blessing to others, and become part of a Christian prepper network in the Vermont area. We believe much of the church is asleep to the times we are in, but we would like to encourage others to prepare for the times to come while there is still time. God is ultimately in control, but we desire to follow His leading. Not reacting out of fear, but out of love and obedience to our Lord, and a concern to be a light to others, particularly those of like precious faith. I am 52, and my wife is 48. If this sounds appealing to you, or if the Lord has been speaking something similar to you, we’d love to hear from you. I am new to the prepping lifestyle but based upon the current atmosphere in today’s world, I believe that it is the smart course of action. I am a law enforcement officer in a fairly major New England city and have purchased a fairly large property in NH recently. As an LEO I have receive top notch training in firearms and defensive tactics- I am fortunate to have trained with many current and former special Special Forces members and have gained a great base knowledge of firearms to include rifles, shotguns and handguns, defensive and offensive maneuvers, medical training, etc and have also had the chance to practice much of this knowledge on the street. In addition, I am an outdoorsman by nature. However, I have not done much in the way of actual preparation as of yet (food storage, water storage, etc). I am looking to locate a group of like minded, sane, focused individuals who wish to plan for the potential issues that lie ahead. I believe that I could be an asset to a group and would like to share my knowledge and assist with the defensive training that would be needed in exchange for knowledge of gardening, farming and other aspects. 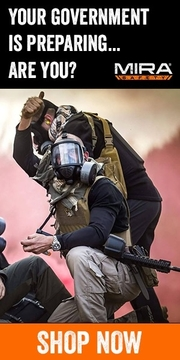 If nothing else, a group of outdoorsman who enjoy training together would be beneficial to all of us. My name is Chris, I recently moved to mass. From Georgia to move closer to my family. I had a group of preppers down in Georgia before moving where we shared information and trained however I’m now alone up here. 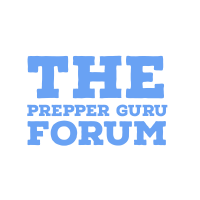 Just thought I would join this forum to seek like minded preppers In my area to continue learning and sharing any information with or form a group. You can contact me at Maddcorps [at] gmail [dot] com. My Name is Ben Warford. I am looking for like minded prepper’s and civil defense people ONLY IN COOS COUNTY willing to work with others for protection and survival in the event of major civil or natural disaster’s. People of all skills and abilities who are willing to work for their spot and do their part. If you think you can join and skate by while everyone else does the work then don’t waste your time or mine. Looking to form preparedness network in Grafton county New Hampshire. Just like the title says. Looking to form preparedness network in Grafton county. Have 100+ acres of hardwood & rocks, w/plenty of water – supremely defensible – need partners to develop. Beautiful rural area, some farms/tiny villages surrounded by thousands and thousands of acres of public access forest. 20 mi.s from tiny resortish village for odds & ends of employment – ski areas for one thing. 15 mi. from a very greeny/hippy small college town that is the county seat (also for employment as needed), has all sorts of Ag. Stores & a farmer’s market as well as a decent hospital. I have an excavator, and a farm tractor w/a loader, finally bought a dump truck to begin developing the land into a defensible farm retreat. Also have bandsaw mill, woodsplitter, all construction tools & equipment – generators, etc., etc… 30 yrs. as a carpenter/builder/developer before becoming a realtor (know development regulations/procedure) . Meanwhile continuing to develop present 6 acre mini-farm 1/2 hr. away for gardening & animals until big project is more under way. At this point there are others who are interested, and I have placed 2 big travel trailers on the land . One to be enclosed in a solar double garage for temporary housing for myself . Your temporary housing would be welcome if you are in sync w/me. No offense but please don’t contact me unless you are seriously considering a move to a group in a safer place, and please understand that my project is not developed, and will require a lot of physical work, but also – you will be on the ground floor, so to speak. Thank you, and good luck to you all in this New Year . Hey all I am a US army vet who did 14 mths overseas as infantry. im looking for survivalist/prepper groups or people in the nh/me area or just like minded people. Looking to increase my knowledge of survival, prepping, and self sustaining lifestyle. Feel free to contact me at jrbkmd1804 at gmail dot com.